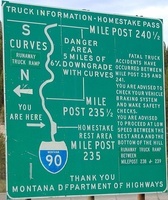 Pictures gathered from my larger collection of sign pictures, with some stats about my travels on these roads. Images are in order from north to south or from east to west, as appropriate. 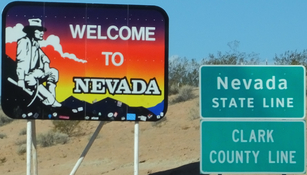 I've also been adding state welcome signs as seen on each road where I have them. More precise stats are available on the Travel Mapping site in map and tabular form. I've now traveled over 81% of the mileage in the whole system, and have traveled all interstate mileage in Colorado, Delaware, Florida, Iowa, Maine, Massachusetts, New Hampshire, New Jersey, and Rhode Island. Blaine, Washington (last exit before the border), to Exit 296 in Oregon. Grants Pass, Oregon, to Gold Hill, Oregon. Corning, California, to Jct. I-505, California. Crossed at Sacramento, California. Jct. I-580, California, to Jct. California 152. Pacoima, California, to southern terminus at the Mexican border. Eastern terminus at I-10 to near Casa Grande, Arizona. San Diego, California area. Eastern terminus near Jacksonville, Florida, to Jct. Texas 71 in Texas. Jct. I-37 in San Antonio, Texas, to Jct. I-17 North in Phoenix. Ehrenberg, Arizona to western terminus in Santa Monica, California. Clinched in Florida, Alabama, Mississippi, Louisiana, New Mexico, California. Multiplex with I-90 in Montana. Jct. 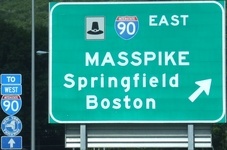 I-84 West to Jct. California 78 in Escondido, California. Eastern terminus in Savannah, Georgia to Jct. US 1. Jct. 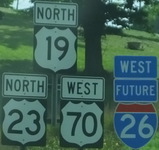 US 129 to western terminus in Macon, Georgia. 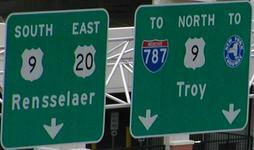 Northern terminus to Exit 99 in Tucson. 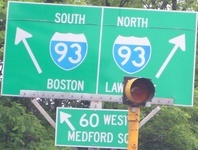 Eastern terminus at I-95 to Jct. US 15. Jct. I-77 near Columbia, South Carolina, to Augusta, Georgia. Crossed on US 441 in Georgia. Eastern Jct. I-285, Georgia, to Airport Hwy in Birmingham, Alabama. Crossed on I-65 in Alabama. Meridian, Mississippi, to Roscoe, Texas. 2012 western terminus in Mississippi to 2012 eastern terminus in Alabama. Passed northern end at I-90. Cheyenne, Wyoming, to southern terminus in Las Cruces, New Mexico. Clinched in Colorado, New Mexico. Eastern terminus in Charleston, South Carolina, to Jct. I-20 in Columbia, South Carolina, area. Crossed on I-85. Jct. 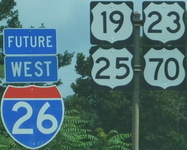 US 25 South south of Asheville, North Carolina to 2014 western terminus in Kingsport, Tennessee. Northern terminus in Amarillo, Texas, to the first exit southbound. Lubbock, Texas, area to southern terminus. Canadian border to Fargo, North Dakota. Sioux Falls, South Dakota, to Jct. I-635 in Kansas City, Missouri, area. Part of Business I-29 in St. Joseph, Missouri. Jct. I-35 North in North Kansas City, Missouri, to southern terminus. 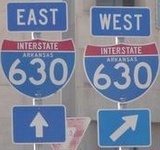 Eastern terminus at I-40 in North Little Rock, Arkansas, to Jct. I-630 in Little Rock, Arkansas. Jct. I-430 in Arkansas, to Malvern, Arkansas. Near Arkadelphia, Arkansas, to western terminus at I-20. 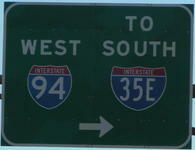 Northern terminus in Duluth, Minnesota, to I-35E/W split north of Dallas, Texas, including I-35E and I-35W in the Twin Cities. I-35W from Jct. US 287 North in Fort Worth, Texas, to Jct. I-20 in Fort Worth, Texas. I-35E through Dallas clinched. I-35E/W split south of D/FW, Texas, to southern terminus in Laredo, Texas. Clinched in Minnesota, Iowa, Missouri, Kansas, Oklahoma. Passed northern terminus on Wisconsin 29. Multiplex with I-90 in Illinois and Wisconsin to Jct. I-88 in Illinois. Jct. I-80 to Cedar Point, Illinois. 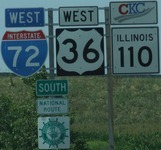 Passed southern terminus on I-55 in Illinois. First (as US 41): 200? Possibly clinched (as US 41). Northern terminus to Jct. Wisconsin 54/57 in Green Bay. Northern Jct. I-94 in Milwaukee, Wisconsin, to western/southern terminus at I-90 in Wisconsin. Northern terminus in Dallas, Texas, to Jct. I-610 in Houston, Texas. Jct. I-10 to Jct. Texas 288 in Houston, Texas. Jct I-610 in Houston, Texas, to southern terminus. Jct. I-435 in Missouri, to southern terminus of Missouri portion just north of the Arkansas border (clinched section as of 2015). Arkansas section from near Bentonville to I-40 (clinched section as of 2015). Clinched original Louisiana section, but missing parts north of I-20. 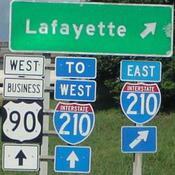 Also, Future I-49 Corridor from Lafayette, Louisiana, to New Orleans, Louisiana. Northern terminus in Chicago, Illinois, to Lemont, Illinois. Jct. I-80 in Illinois, to Jct. Mississippi 302 in Southaven, Mississippi. Jackson, Mississippi, area. Jct. I-12 to southern terminus in Louisiana. Clinched in Missouri, Arkansas, Tennessee. Crossed on I-80 in Illinois. Jct US 30, Illinois, to Effingham, Illinois. Crossed on US 50 in Illinois. Jct. I-64 to Jct. I-24, Illinois. Passed southern terminus in Missouri on I-55. Passed northern terminus on I-24 in Georgia. Jct. I-759 near Gadsden, Alabama, to southern Jct. I-459 in Bessemer, Alabama. Crossed on I-65 in Alabama. Jct. US 45 to Jct. I-20 West in Meridian, Mississippi. US 49 bypass of Hattiesburg, Mississippi. Passed southern terminus on I-10 in Louisiana. Hampton Roads, Virginia, to Jct. I-77 South in West Virginia. Charleston, West Virginia, to western terminus in Missouri. Clinched in Virginia, Kentucky, Indiana, Illinois, Missouri. Northern terminus at I-90 in Indiana to Jct. US 82 East in Montgomery, Alabama. Jct. Alabama 158 to Jct. I-165 near Mobile, Alabama. Passed southern terminus on I-10 in Alabama. Clinched in Indiana, Kentucky, and Tennessee. Washington, D.C., at E St. Expressway to western terminus on I-81 in Virginia. Cumberland, Maryland, to western terminus at I-79 in West Virginia. Northern (eastern) terminus at Port Huron, Michigan, to southern "terminus" near Indianapolis. Passed southern end of I-69's segment ending in Evansville, Indiana. Passed northern end of I-69's segment ending in Henderson, Kentucky. Multiplex with I-40 in Memphis, Tennesee, but before it was I-69. Mississippi/Tennessee line to Jct. Mississippi 302. Future I-69 from near Houston, Texas, to Corpus Christi, Texas. I-37 in Texas to Robstown, Texas. Clinched I-69E from Raymondville, Texas, to its southern terminus in Brownsville, Texas. Southernmost mile or so of I-69C in Pharr, Texas. 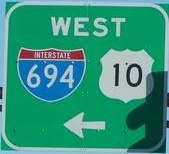 Clinched I-69W in Laredo, Texas. Eastern terminus in Maryland to Frederick, Maryland. Jct. US 40 to Jct I-81 near Hagerstown, Maryland. Breezewood, Pennsylvania, to Jct. US 191 and US 6, Utah. 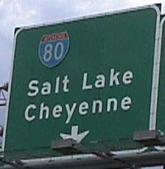 Passed western terminus in Utah. Clinched in West Virginia, Ohio, Indiana, Illinois, Missouri, Kansas, Colorado. US 501 multiplex around Laurinburg, North Carolina. I-74 and Future I-74 from near Greensboro, North Carolina, to near Rockingham, North Carolina. Multiplex with I-77 in North Carolina. Eastern "terminus" at Cincinnati, Ohio, to Jct. I-57 in Champaign, Illinois. Multiplex with I-55 in Illinois to western terminus at I-80 in Iowa. Clinched in Ohio and Iowa. Northern terminus in Sault Ste. Marie, Michigan, to Flint, Michigan. Jct. 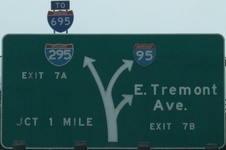 I-696 north of Detroit, Michigan, to southern terminus in Miami, Florida. Clinched in Ohio, Kentucky, Tennessee, Georgia, Florida. Eastern terminus in New Jersey to Jct. I-276 in Valley Forge, Pennsylvania. Jct. I-283 to Jct. US 15 near Harrisburg, Pennsylvania. Carlisle, Pennsylvania, to Jct. I-376, Pennsylvania. Crossed on I-79. Jct. I-80 in Ohio to western terminus. Northern terminus in Cleveland, Ohio, to Jct. I-277 in Akron, Ohio. Crossed on I-70 in Ohio. I-64 to I-79 in Charleston, West Virginia. Jct. I-64 East near Beckley, West Virginia, to southern terminus in Columbia, South Carolina. Clinched in Virginia, North Carolina, South Carolina. Northern terminus to Jct. I-279 north of Pittsburgh, Pennsylvania. Jct. I-279 south of Pittsburgh, Pennsylvania, to Jct. I-70 in Washington, Pennsylvania. Jct. I-68, West Virginia, to southern terminus at I-64 in West Virginia. Eastern terminus in New Jersey, to Jct. I-76, Nebraska. Cheyenne, Wyoming, to Laramie, Wyoming. Jct. Wyoming 789, Wyoming, to Jct. US 191, Wyoming. Jct. I-84 in Utah, to western terminus in San Francisco, California. Clinched in New Jersey, Pennsylvania, Ohio, Indiana, Illinois, Iowa, Nevada, California. Eastern terminus at I-84 in Oregon to Jct. US 12, Washington. Passed western terminus on I-90. Eastern terminus in Utah, to Jct. I-82, Oregon. Hood River, Oregon to western terminus at I-5. Northern terminus at Petersburg, Virginia, to Atlanta, Georgia. Jct. I-285 west of Atlanta, Georgia, to Jct. I-185, Georgia. 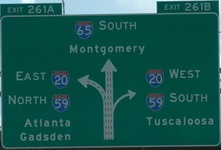 Montgomery, Alabama Exit 6 to southern terminus in Alabama. Clinched in South Carolina, North Carolina, Virginia. Future I-86 from Hancock, New York, to Deposit, New York. Future I-86 (as New York 17, now I-86) Windsor, New York, to Horseheads, New York. 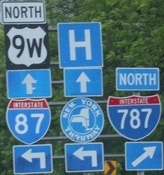 Eastern terminus (at the time) in Horseheads, New York, to western terminus in Pennsylvania. Clinched (at least for now)! Passed western terminus on I-84 in Idaho. Multiplex with I-355. Crossed on I-294. Jct. I-39 to western terminus. 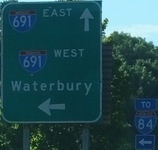 Orleans, Vermont to southern terminus at I-95 in New Haven, Connecticut. Eastern terminus at Port Huron, Michigan, to Jct. I-29 in Fargo, North Dakota. Jct. US 10 in West Fargo, North Dakota, to western terminus near Billings, Montana. Clinched in Michigan, Indiana, Illinois, Wisconsin, Minnesota, Montana. Detroit, Michigan, area. Jct. I-275 South to Jct. US 127 in Lansing, Michigan. Multiplex with I-69 in Lansing, Michigan. Passed western terminus on US 31 in Michigan. Southern terminus to 2002 northern terminus near Bald Eagle, Pennsylvania. Possibly crossed on US 62 in El Paso. Passed northern terminus on I-10. Passed western terminus on I-15. Passed southern terminus on I-24. Passed northern terminus on I-70. Crossed on US 54 and US 400. Passed southern terminus on I-35. Passed western terminus on I-40. Passed western terminus on I-55. Passed northern terminus on I-74. Passed southern terminus on I-55. Passed northern terminus on I-64. Passed southern terminus on I-72. Passed western terminus on I-82. 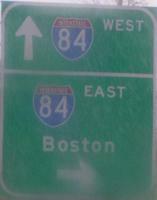 Passed western terminus on I-84. Northern terminus to Jct. I-85. Passed northern terminus on I-94. Passed southern terminus on I-94. Northern terminus to Jct. Powhite Parkway west. 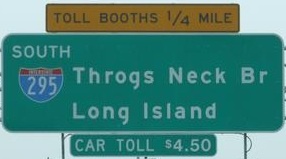 Passed northern terminus on I-95. Crossed on the Baltimore-Washington Parkway. Jct. 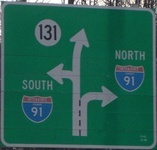 US 31 North near Holland, Michigan, to southern terminus at I-94 in Michigan. Passed western terminus on I-580. Jct. US 90 East to western terminus at I-10. Multiplex with California 2 near La Canada Flintridge. Pasadena to Glendora. 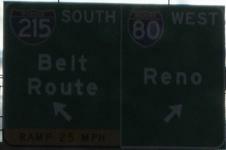 Passed northern terminus on I-15. Passed both termini on I-20. Passed southern terminus on I-20. Crossed on US 54 and US 400. Passed eastern terminus on I-580. Passed western terminus on I-880. Jct. US 78 to northern/western terminus in Memphis. At least multiplex with I-26 and US 70. Probably clinched. Passed both termini on I-44. Clinched northern segment between I-64 and I-65 in Indiana. Passed eastern terminus of southern segment on I-71. Crossed southern segment on I-64. Passed western terminus of southern segment on I-65. Jct. I-70 West clockwise to Jct. I-71 South. Frederick, Maryland, area. Germantown to southern terminus. Near CVG airport counterclockwise to Jct. US 50 West. Passed both termini on I-77. Jct. I-75 south of Atlanta (clockwise) to Jct. I-20 east of Atlanta. Jct. I-190 near O'Hare Airport to Jct. I-55. Jct. I-80 West to southern terminus. Passed western terminus on I-80. Northern terminus to 75th Street exit. Passed southern terminus on I-80. Jct. I-270 to Jct. Maryland 255. Northern terminus to Madison St. (probably). 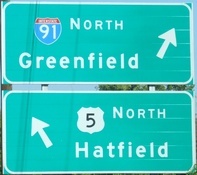 Exit 39 to northern terminus in Greenville, South Carolina. 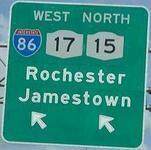 Northern terminus at I-490 to New York Thruway. Crossed on US 20 and New York 5. Some parts near Letchworth State Park. 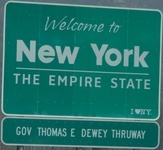 Passed southern terminus on I-86. Target Field parking to Minnesota 100. At least from Olympic Blvd. to southern terminus at I-5. Jct. US 30 West to southern terminus. Jct. US 281 North to Jct. I-37. Crossed on I-10 east of San Antonio. Passed eastern terminus on I-24. Crossed on I-65. Passed western terminus on I-40. Southern terminus to Jct. I-65. Passed northern terminus on I-264. Passed southern terminus on I-64. Jct. I-74 West around north, east, and south parts of loop to Jct. I-70 West. Jct. Airport Expressway to Jct. US 36 West (south part of loop). Passed both ends on I-74. Passed northern terminus on I-75. Jct. I-271 South to western terminus. Western part of loop from NC 51 to I-85 North. Eastern terminus at I-94 to Jct. Minnesota 100 in Bloomington. Plymouth to western/northern terminus on I-94. Probably Jericho to western terminus. Traveled future I-495 from I-540 to I-95. Multiplex with US 127 in Lansing and East Lansing. Jct. Flamingo Rd. to southern terminus. Crossed on US 1. 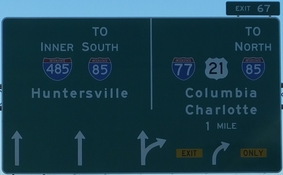 Exit 1C to western terminus at I-20. Eastern terminus to Dorchester Rd. Passed western terminus on US 17. Memorial Parkway in Huntsville, Alabama, to western terminus in Mooresville, Alabama. 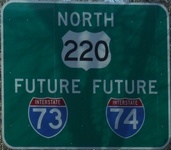 Passed northern terminus on I-279. 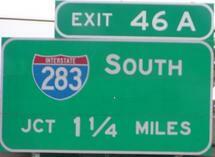 Passed southern terminus on I-376. Eastern terminus on I-5 to Jct. I-980. Multiplex with I-80. Passed western terminus on US 101. Crossed on I-10. Crossed on I-5. Passed southern terminus on I-405. Jct. I-45 North along east loop to Jct. I-45 South. Jct. Texas 288 to Bellayre Blvd. Northern/western terminus to Jct. I-35E. Crossed on I-30. Jct. Texas 352 to southern terminus. Passed eastern terminus on I-70. Passed western terminus on I-70. 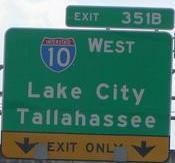 Passed southern terminus on I-75. Passed northern terminus on I-75. Passed southern terminus on I-75. Northern terminus to Xenia Ave. Passed southern terminus on I-75. Passed northern terminus on I-80. Crossed on I-580. Passed southern terminus on US 101. Passed northern terminus on I-80. Jct. I-94 West to Jct. I-35E South. 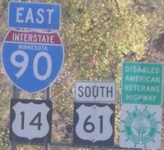 Eastern terminus at I-94 to Jct. I-75. Passed western terminus on I-96. Crossed on I-10. Jct. I-5 to Jct. I-405. Passed southern terminus on I-695. 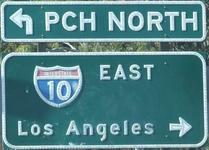 Passed northern terminus on I-5. 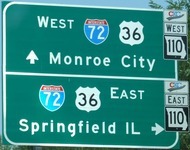 Concurrency with I-73. Future I-840 from I-85 to US 70. Passed eastern terminus on I-465. Passed western terminus on I-65. 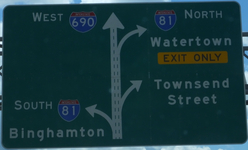 Northern terminus to Jct. California 92. Crossed on US 101 in San Jose. Passed southern terminus on I-280. Eastern terminus to Kapahulu Ave. Punahou Street to western terminus. Never travled any of PR-1, PR-2, or PR-3.